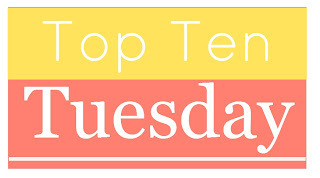 This week's Top Ten Tuesday topic hosted by The Broke and the Bookish is the Top Ten Books I'd Like to See as Movies or TV Shows. One of my guilty pleasures is the Lifetime or Hallmark movies that are based off books. The quality isn't always stellar but I always enjoy them! 1. A Share in Death by Deborah Crombie - I'd also love to see the rest of the series turned into a television series. BBC needs to get on that! 2. Langston's Daughters, Baxters Draw and Alice's Portrait by Juliette Harper - Seriously Lifetime needs to pick this series up. It'd be great! 3. The Beekeeper's Apprentice by Laurie R. King - With Sherlock being so popular right now I'd lvoe to see an adaption of King's version of the world of Holmes. 4. The Beekeeper's Ball by Susan Wiggs - The present day story line would feature beautiful orchards and rolling vistas and the World War 2 era story line would be gritty and heartbreaking. 5. 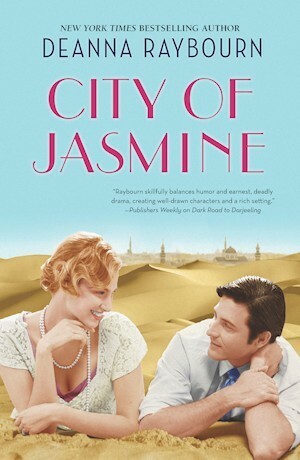 City of Jasmine by Deanna Raybourn - Glamour, intrigue, romance, and danger. 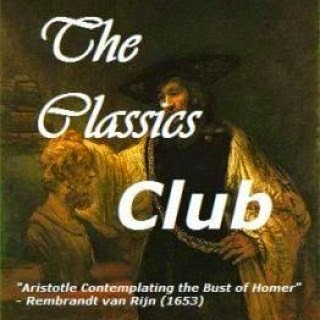 Seriously why is this not a movie? 7. Rilla of Ingleside by L.M. Montgomery - This is one of my favorites and now that I have a son who is close to military age and another one who is still little I weep while reading it. I would love to see this done and replace that unspeakable 3rd Anne of Green Gables movie. 9. Murder She Baked: A Chocolate Chip Cookie Murder based off the Hannah Swensen series by Joanne Fluke - This is another Hallmark movie and features Allison Sweeney as the main character. 10. A huge variety of Nora Roberts books - Tribute, Midnight Bayou, Northern Lights, Angels Fall, Carnal Innocence, Montana Sky, Carolina Moon, Blue Smoke, and High Noon - These are by Lifetime and they're about as hokey as you'd expect but I always have fun watching them. Seriously guilty pleasure time. Oh, and I'm kind of surprised that Laurie King's Mary Russell and Sherlock stories haven't been adapted. They are certainly a different take on that story. I probay wouldn't want them to do an adaptation if I was Crombie but it has the potential to be really great! The BBC has a pretty good track record when it comes to adapting mysteries - except the Marple remakes of recent years. (Give me the Joan Hickson series any day.) So I'd be willing to see them try both Crombie and Laurie King. What a cool meme, I would have to come up with a list of books I would like to see as a movie. I have not read read any of the seven you listed above. I'd love to see what you'd pick! This one was tricky! There's definitely some books I'm really protective of but some of these could be really fun! About your books, wow, thanks! I am busy scribbling down titles to check out further. I got #2 in the Crombie series recently thanks to Lark persuading me to try something besides my darker thrillers. I found book one a bit slow but she said to stick with it. I also am now just starting Penny's series with Still Life, my first audiobook and a great choice for it because the book seems to be so descriptive and focused on characterization and setting, not action. The narrator with the French accent could read the phone book and I would sit there with daydreaming, lol. Thanks about the tip about Hallmark channel and Lifetime. Haven't watched these in ages because I've moved away from tv except Netflix and a few broadcast shows. I will look online to see when they are showing movies made from books. Guilty pleasure! My library had a ton of Penny's books on audio so I'm glad to hear you are liking the narrator! I'll definitely have to try them. I've been wanting to try her books for ages. Total guilty pleasure! There's also a series of movies called The Garage Sale Murders which feel like they're based on books even if they're not! I didn't know there was an Aurora Teagarden movie! I need to watch that. I read a few of those books years ago and really enjoyed them. I haven't watched it yet but I'm excited! I saw there are a couple of more books in the series coming out soon! Movies from books often disappoint me, but I still like watching them. Laurie R. King's book is a good choice. There are definitely some books that I don't want touched because I don't want them messed up but I think the King books could be really good. Laurie R. King, L. M. Montgomery and Nora Roberts are known to me. Deborah Crombie appears to be an interesting author. I have found some of her titles in our library catalogue . I look forward reading her. I really like Crombie. Her books start out as really straight forward police procedurals but as you get to know the characters more and more they become much more developed. Oh that 3rd movie is so bad! There were so many great stories they could've worked with and I have no idea why they went with that mess. Have you seen Murder She Baked? If so, was it good? I want to see that one. Shalvis' books would make a great series! Just Lucky Harbor itself would make a great setting. I haven watched the movie yet but am hoping to soon. I'll let you know as soon as I do! A lot of these I haven't read. I still need to read the Aurorea Teagarden series ASAP. I love the Aurora Teagarden series! It's a much more traditional mystery but there's some fun little twists. Fun list! I haven't read the Beekeepers Apprentice yet, but I agree that would be fun to watch on screen. These all sound great! Thanks! I liked The Beekeeper's Apprentice and the rest of the series is good too and such an interesting take on it! Great choices! I'd love to see Crombie's Kincaid and James made into a TV series. And I love Rilla of Ingleside. It never fails to make me cry. I think I'm due for a reread of it soon! I ugly cried last time I read Rilla! I really need to catch up on Crombie. I really want to go back and do a reread. It's probably been close to 20 years since I've read the early ones. LOL, I do love to watch hokey Lifetime from time to time....hehe. I love your choices and the first 4 ya sold me on. Lifetime movies can be so fun! Total guilty pleasure watching! Ophelia and the Marvelous Boy sounds enchanting, I'll have to check it out! I loved Ophelia! Definitely recommend it! Wonderful list! If I hadn't limited mine to SF/F, the Crombie books would totally have been on it - and Laurie King's Mary Russsell would have been at the very top. I also agree that both Susan Wiggs' Bella Vista series (The Apple Orchard as well as The Beekeeper's Ball) would make a good movie, and almost any Nora Roberts but particularly her romantic suspense novels. I thought of you when I put the Mary Russell series on the list! Wouldn't that be great! I like the Nora Roberts movies that have been made but there's definitely some of the recent books I'd love to see! I'll have to try to find those Nora Roberts movies on Netflix! I love your choices! Some of them I haven't heard of before, but they sound really good and would make great movies. I love everything Susan Wiggs writes. I haven't read nearly enough Wiggs but I really want to make up for that! I've loved the Bella Vista series books! The Lifetime type movies are definitely more for enjoyment and mindless T.V. time than anything else. Oh I love those Hallmark movies too, they are a perfect escape from real life! I've watched so many Danielle Steele ones and love them all in that mindless watching way. The one I'd most like to see is Rilla of Ingleside as I adore that book, even though its really sad too. I've heard of those book but not read any of them but from what I've heard they sound like great choices.